Participants of the 15th Hub Meet. As the world convened in New York for the 70th session of the United Nations general Assembly held in September 2015 for the ratification of the 17 Sustainable Goals (SDGs), for the first time ratified an urban-specific Sustainable Development Goal, which precisely focuses on cities and human settlements, Goal 11. However, what remains to be the big question is what would be its impacts? 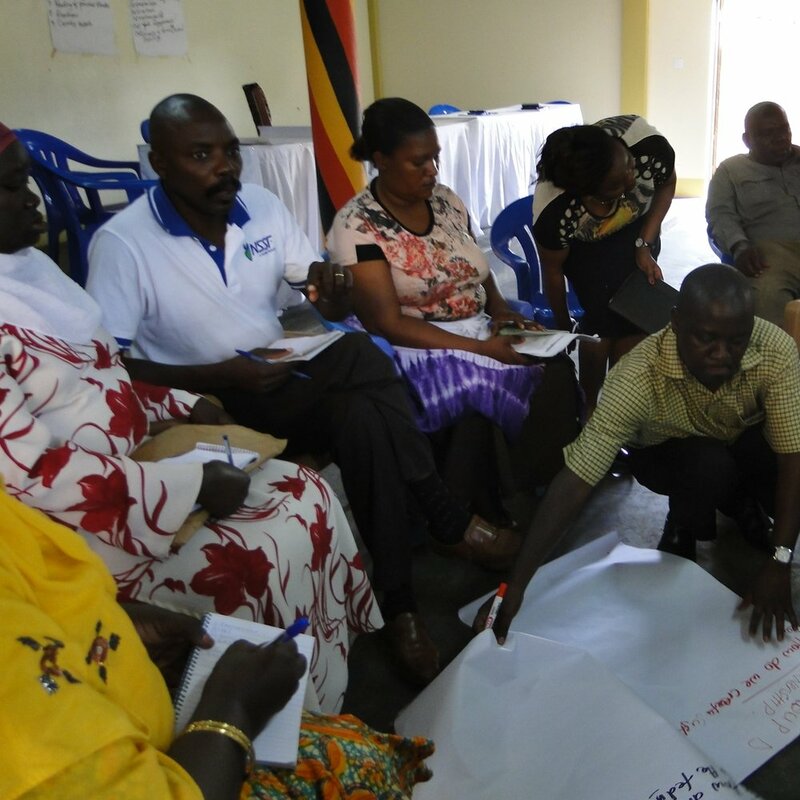 Recently, between the 1st and 3rd October 2015, the SDI East African hub (Kenya, Uganda and Tanzania) metin Jinja, Uganda to reflect the realities of many developing cities around the region – these realities include the struggles faced by its members to pursue dignified lives, through building sustainable slum-dweller federations. Slum dwellers within the East African hub; continue to be pervaded by characteristics of extreme poverty, forced evictions, and rapid population growth, and inadequate local and central government systems. The 15th East African hub meeting was officially opened by Musisi Kibuguddu, chairman Local council 3 Walukuba-Masese division Jinja municipality. The chair urged the federations to develop an inter sectoral working approach between the federations to enable create learning and through self sustainable community programmes. The day commenced with each country reporting on their key indicators using the Learning, Monitoring, and Evaluation (LME) reporting format. All countries concurred that this format in the last one year or so, has greatly assisted them in measuring progress, setting realistic targets, identifying challenges, and through active learning developed mechanisms of addressing specified challenges. On the second day, hub delegates were graced by the presence of Mr. Bogere Stephen, Senior Sociologist at the Ministry of Lands Housing and Urban Development. He illustrated the successful partnership between the Ugandan Alliance and the Ministry, it became clear; through the lively discussions that took place that these types of partnerships need to be underpinned by commitments from different structures of governments in the urban and rural spaces. The East African SDI federations need to follow up on the space opened by its initiatives to develop discussions with different government agencies and partners. What was central in the 3 day workshop was the work of all federations within the hub. The forum recognized that donor funding is depleting, therefore with the capacities, knowledge, and innovative projects the federations have so far achieved, it is important now more than ever for the federations to innovate strategies for self sustainability. Broken into country groups delegates discussed criteria for federations sustainability with a closer eye on partnerships, security of tenure of federation projects, evictions and its impacts on federation expansions and the existing opportunities for community project co-production. The Power of Social Innovationfor sustainability. Better and affordable housing and slum upgrading contributes to reducing social inequalities and also improving urban safety through their social and spatial impacts. Indeed, productive cities in East Africa will be those in which slums are turned into vibrant neighbourhoods that are fully integrated into the city’s fabric, through proper partnership frameworks with governments, with workable urban management systems, rather than remaining as islands of informality, social exclusion, poor housing and underdevelopment. Social Innovation is becoming an increasingly important topic within SDI circles. Federations which are able to develop solutions through alternative models to the most urgent social, political, economical and ecological challenges will be the leading lights of future cities. Social Innovation not only creates value for urban poor communities but will be key driver urban development goals. The Walukuba Community Material Centre, which played host to the hub meeting, was a key example of community led sustainability models. The project is run by the National Slum Dwellers Federation of Uganda. The centre serves as a technical centre to empower local communities and federation members to earn capacities on building and construction. The centre also serves as a Guest house for guests and communities during functions and regional meetings. Those in attendance learnt more about the slum upgrading activities, with a sustainable effect that are being undertaken by the three federations in the East African region such models include the housing and sanitation projects in Kenya, the sanitation projects in Tanzania and Uganda. http://www.upfi.info/home/. Governance, policy and city planning are historically top-down approaches, negotiated and agreed upon. With few resources and even fewer options, slum settlements have been growing at an alarming rate in cities around the East Africa. Experiences in informal settlement slum upgrading within the East African Hub have often taken one of two routines: leaving the responsibility of slum upgrading and utility provision in the hands of the government in the hopes that top officials will take active measures to meet the needs of slum dwellers in the cities- and putting the responsibility of upgrading on the shoulders of slum dwellers. Although there are benefits and strengths to each of these approaches, the overarching problem remains where policies and governance continues to exclude the input and innovation of the people it is meant to serve. To address this, hub members should be able to invite government officials to local, national or international exchanges and diversification of partnership with different govt. organs. Better still there is a third option: co-production. Co-production draws from the concepts of self-help, collaboration and participation-settlement/Municipal and city forums, where urban poor communities and the local government can work together to produce more effective solutions to service provision. Co-production is an opportunity for urban poor communities to engage with the state to influence policy change, reform practices and encourage governments to invest in their communities. Data Management and Use, is it essential? Bringing informal settlements into the fold of the greater inclusive city is something that has received little attention. As a first step, cities should plan on combining better data on slum community needs, aggregating information coming from the city profiles and implementing best practices from the slum dwellers movements. The East African SDI affiliates do not have to go it alone: partnering with their support organizations should help apply slum-upgrading lessons learned globally to specific contexts, often provides a major value-add and the opportunity to learn from past failures. The East African hub have actively participated in efforts to minimize implications of evictions in the region; communities continue to be involved in less political aspects of the federations, such as attending weekly savings group meetings while the major mobilization efforts undertaken by the regional federations of the urban poor in Kenya, Uganda and Tanzania around forced evictions and grassroots enumeration of settlements that were or are to be evicted. Enumerations have several objectives goals with regards to addressing forced evictions: to demonstrate those slum-dwellers communities have the capacity for self-organization; they generate data that give tangible identity to slum residents and respective settlements; and they serve as the basis for advocacy and lobbying. An enumeration offer demographic data on residents, including age, household size and income, and also records the dimensions of plots and individual structures. A set of information that remains invisible to local governments in the region. Accepting that some evictions are legal and above board, especially on respecting basic human rights, there is an option of lobbying governments for a grant of land for community resettlement. Through factual and accurate data, communities have the opportunity to convince authorities in municipal and national agencies responsible for land administration that they should provide a grant of land to which evictees could move before they are forced to leave their homes. Foster community participation in country Evictions and Resettlement guidelines. The 15th hub discussed and deliberated on the need for federations to begin looking at ways of transferring lands and projects (housing, water and sanitation, resource centres) negotiated for or developed by federations to either federation or communal ownership to avoid possibilities of reverting back to government or private entities. Tenure arrangements and tenure security in slums vary considerably from one country to the other within the East African hub. The most insecure groups are the ones occupying public and private lands. Informal settlements central government lands are not entitled to tenure security. With government investments in infrastructure provision, land reallocations and project grants slum dwellers continue to have perceived tenure security. 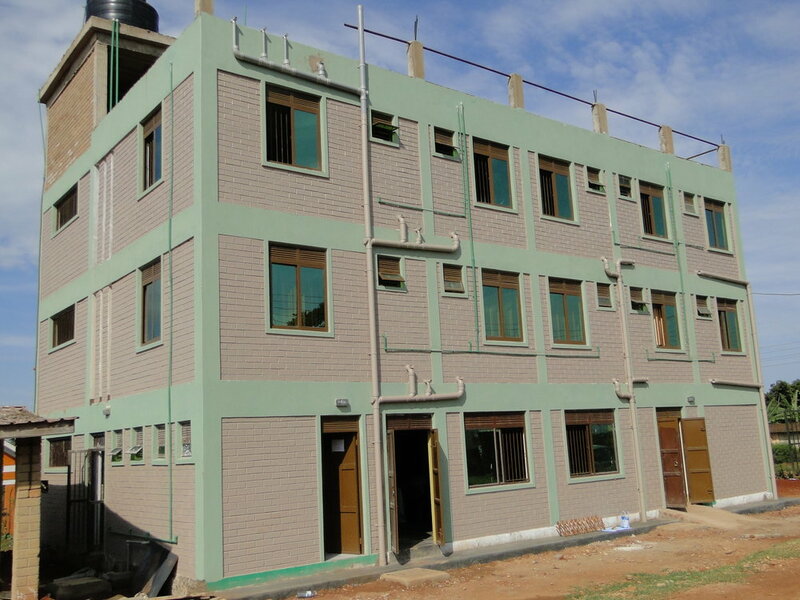 Putting into practice tools for city wide profiling, enumeration and mapping, provides technical aid to formulate and adopt sustainable low cost housing building models showcasing alternative and revised regulations at country and city levels. Building upon the best practices and the lessons learned, SDI management committee supports the scaling up of these interventions, converting them into strategies, programmes and policies at broader local and national levels. As a hub, the East Africa federations are excited to tackle these challenges in innovative and unconventional ways, and to contribute to cities continued development agenda to innovate and lead development in an inclusive manner. The meeting closed with a collective reflection session that gave delegates an opportunity to assess the content and performance of the hub meeting.